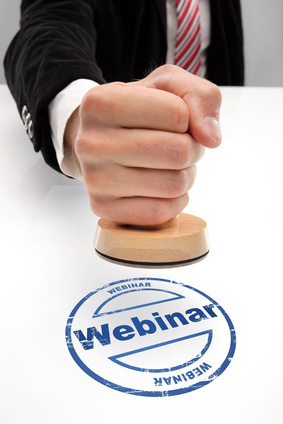 Webinars, web-based seminars, have become a common way to present information. When you’re ready to host one to build your business, here are 10 tips to make sure it gives you the great results you’re expecting. Before you start marketing your online presentation, make sure you know why you’re doing it, what you’re trying to accomplish, and what you hope attendees will get out of it. A lot of people multi-task during webinars, so do everything in your power to present information that grabs their attention and doesn’t let go. Schedule lively speakers, and make sure you have fascinating information to share. In addition to creating a wonderful talk, spend as much as 20 hours building a simple and interesting slide deck to accompany it. Make sure they work well together. Well before the day of the online meeting, test the connection, computer, webcam, and headset. Every webinar platform is a little different, and this is the only way to know for sure that everything will work. While you’re at it, make sure the moderator knows his duties and can handle technical issues and problems. Give yourself plenty of time — get to the office, or wherever you’re running the webinar, at least an hour ahead of time — so you can identify problems and find someone who can take care of them. With an in-person seminar, the presenter does something every 10 minutes or so to re-engage with the audience. With a webinar, since there’s no direct contact, presenters have to do it more often, to avoid losing the audience. Don’t say, “Does anyone have a question?” Instead, if the webinar is about the best time to do things in the workplace, ask, “Who knows why 10 a.m. is the best time to give a presentation?” Involve your audience. And share the results as soon as they’re in. Polls are a great way to involve everyone in the online meeting, and they can be used to transition into or out of a topic. Webinar attendees want something in return for their attention and participation. So after the webinar ends, email a thank-you note to attendees, and include some tips related to the topic. Information, in the form of succinct tips, is something they can refer to and share. If there were any hyperlinks from the presentation, include them as well. Just because the webinar ended, doesn’t mean the conversation has to as well. Send attendees a survey a day or two later. And then a week later, follow up with an email asking how they used — or plan to use — the information they received during the webinar.